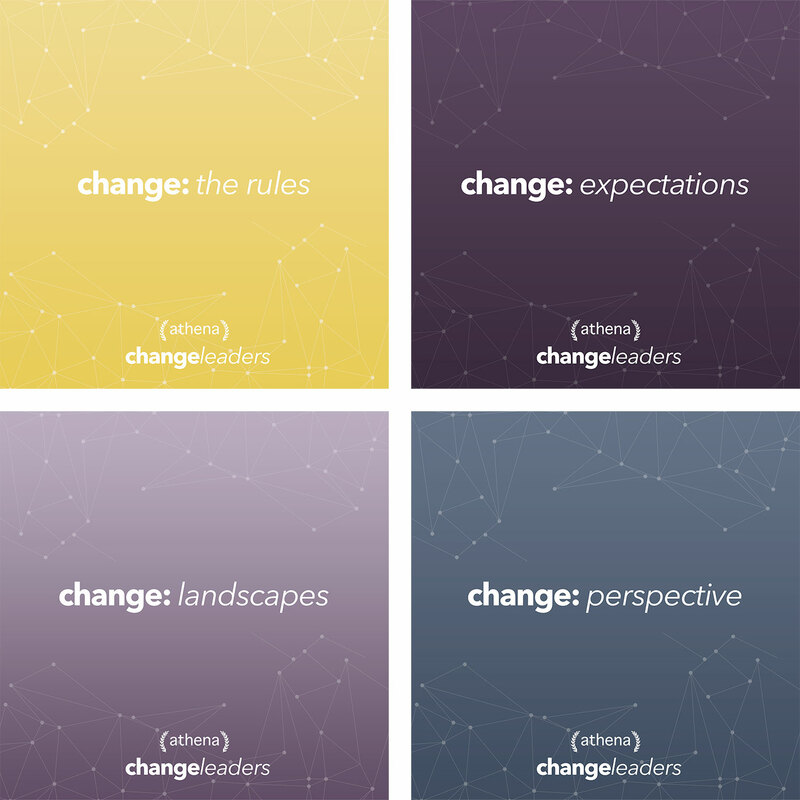 Fetch Media is proud to have been called on to complete the branding for Athena Leadership’s changeleaders, the first conference of its kind in the Canadian Prairies. The conference, with proceeds benefiting community and scholarship development, featured powerful keynotes and discussion panels with over 500 young leaders in attendance. 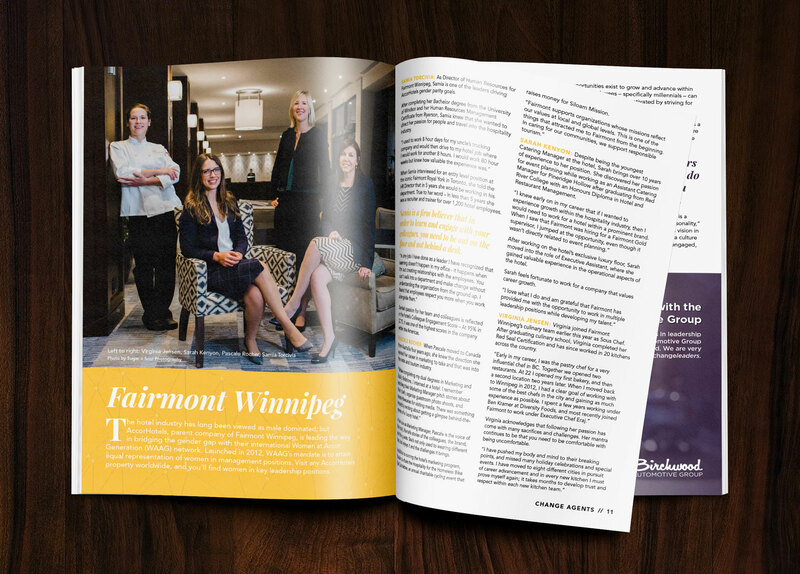 changeleaders was created for the development of Manitoba millennials and those within the community who recognize the value of supporting millennial leaders. Through meeting with the women of Athena Leadership to understand their vision and completing branding exercises, Fetch Media developed the name “changeleaders” and the imagery to support all the elements of the conference. Athena wanted the branding to connect to the existing Athena brand, appeal to their millennial audience and illustrate the goals of changeleaders. The concept developed is called “Constellations.” The idea of bringing together a city of individual stars and begin to connect them into one brilliant network. In support of the conference, Fetch Media provided landing page design within the existing Athena Leadership website, social media visuals, all branded materials for the event as well as designing a 40 page magazine, Change Agents, for all participants to take away from the conference.